Is Tech (Computer) Camp Right for Your Child this Summer? Growing up, I was a sports camp kid. Baseball, mostly. There were a few basketball camps mixed in, a bit of soccer. But all I really wanted to do was play baseball—that’s it. Bless my parents for trying to vary my interests, but the writing was on the wall. I mean, I learned to read by going over the “did you know?” facts and player statistics on the backs of baseball cards. I just couldn’t get enough. So when summer came around, how did my parents know which type of camp was best for me? Well, because I simply loved all-things baseball. Easy. Done. Book it. But how do you know if your son or daughter loves technology? And I’m not referring to consuming technology—apps, social media, video games. These things are of interest for many kids when it comes to free time and keeping busy. I’m talking about learning and creating; questioning how technology works and pondering how to develop the next Candy Crush. Imagining and inventing—sound like your son or daughter? Either way, the point is it’s not always about whether or not your child plays mobile or video games, watches movies, or engages with social media. There are more than few other things to consider. If you’re wondering "should I send my child to tech camp (or computer camp) this summer?" think about the following. DOES YOUR CHILD LIKE TO PLAY MINECRAFT? You’re probably thinking “Is grass green? Of course!” While I mentioned playing a game isn’t always a surefire indicator that kids will enjoy dreaming up their own pixilated adventure, Minecraft is different. Being an open-world, sandbox-style game, Minecraft is already based on providing users the tools to make changes and modifications themselves in order to truly guide gameplay. 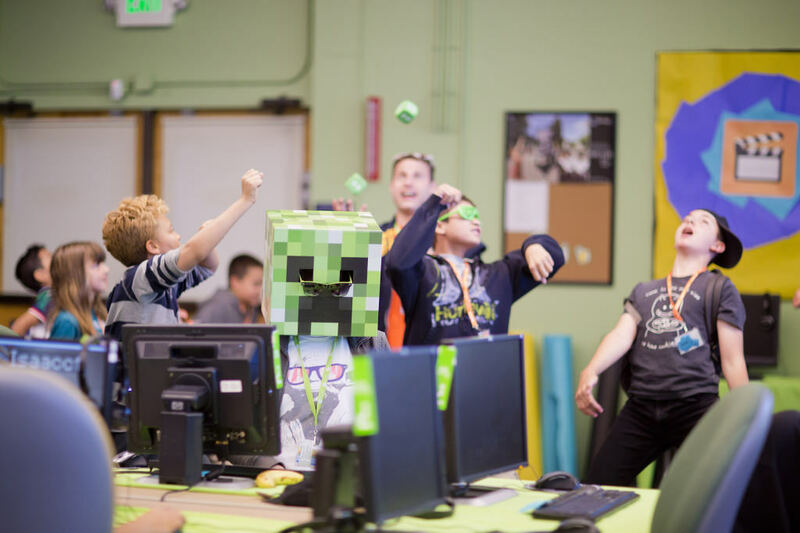 So, if your child does like Minecraft, a tech camp that gives them even more of an opportunity to build their own creation through programming, modding, and designing just might be their thing. View our Minecraft summer camps. IN WHAT TYPE OF ENVIRONMENT DOES YOUR STUDENT THRIVE? This one is kind of a trick question in that tech camps usually cater to a number of different learning styles. Learning in a non-school environment allows for a number of different looks—one-on-one instruction, teamwork, and more. Students proceed at their own pace and instructors accommodate any experience level. With it all, it’s important to remember that we are talking summer…and we are talking summer camp. Fun, excitement, and high energy are simply just too much to contain, and labs could get a little noisy with laughter and collaboration at times. IS YOUR SON OR DAUGHTER EXPOSED TO TECH-RELATED COURSES DURING THE SCHOOL YEAR? Unfortunately, the answer is “no” for far too many students. Specifically, only 1 in 10 high school students have access to computer science courses (and far fewer at the K-8 level). Thus, students’ ability to prepare for a booming STEM job market is limited during the school year. Summer tech programs allow for students to learn relevant tech skills in a fun camp environment. 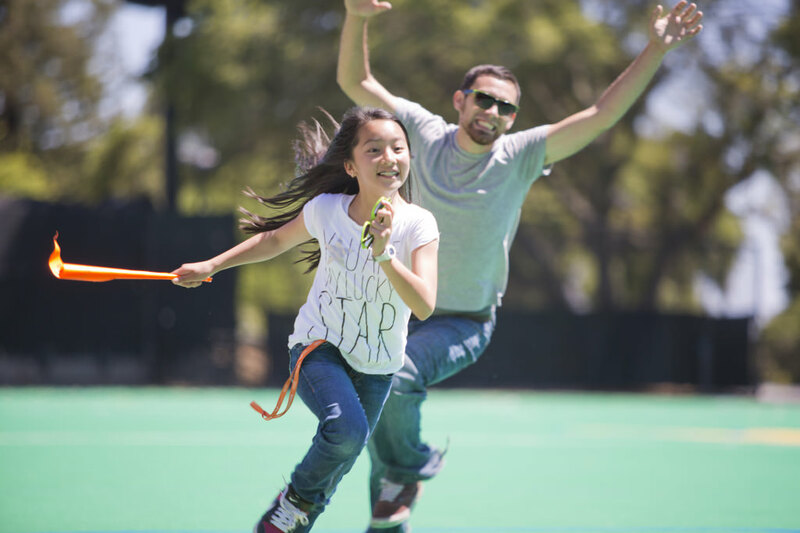 WHAT DO YOU AS A PARENT VALUE IN TERMS OF CAMP BENEFITS? And a few follow up questions—are you looking for strictly fun or more of an academic experience? A mixture of both? What do you want your camper to come home with? New friends? New skills? A smile? When people think of tech camp, their minds usually hone in on kids in front of a computer, all day, every day. But really, it’s just not the case. Fun is had on the computer and off, with a balance of indoor and outdoor activities, sports, and more. Traditional camp benefits of making new friends, and building confidence, independence, and social skills are all things attained at tech camp--and then some. I mean, take a look…this is tech camp? Of course, figuring out if tech camp is the best option and if your child is ready to attend requires a little bit of discussion. Sometimes that’s easier said than done, but hopefully the above helps guide the decision making process.